Yesterday DJ Charisma hit the scene with a new single titled “Till The Morning”. On the new single, featuring vocals from Chris Brown and Dej Loaf, DJ Charisma provides a seductive, party-friendly track. “Till the morning, Imma do my thing girl I’m not lying we’re gonna do this till the morning! Cause you’re all I need, I don’t need no sleep tonight,” Breezy croons on the hook. “Party, party, party! Pass me a cup, I’ll take a shot to the head. he want to take me home, pull me in the bed and fill my body,” Dej spits over the upbeat-pop production. While Chris Brown’s anticipated album Royalty is due for release on December 18th, Dej Loaf is still preparing her debut for 2016! 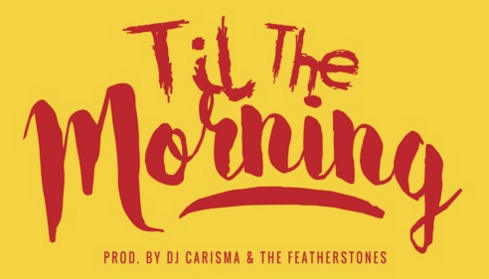 Until then you can check out DJ Charisma’s “Till The Morning” featuring Chris Brown and Dej Loaf below!